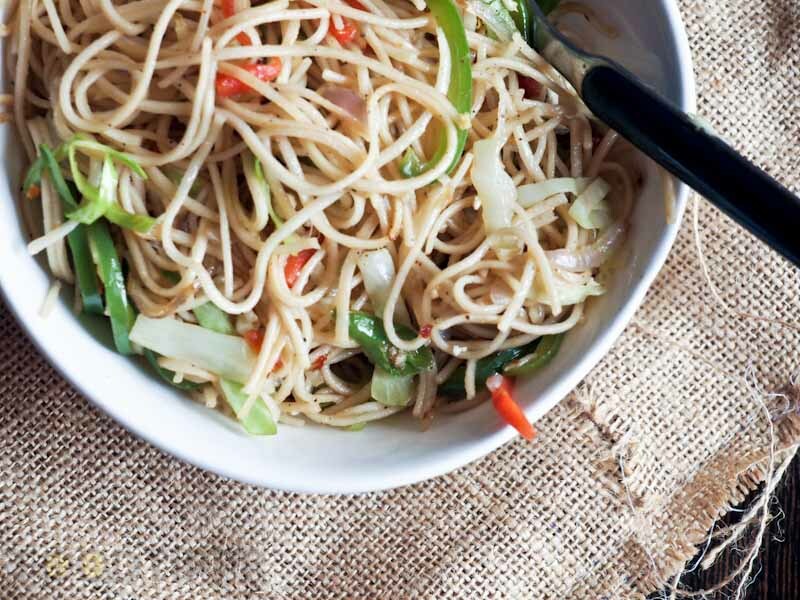 Check out the delicious recipe of Veg Noodles. 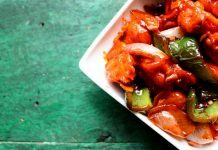 It’s Indian Restaurant style recipe that I love having when I eat out. 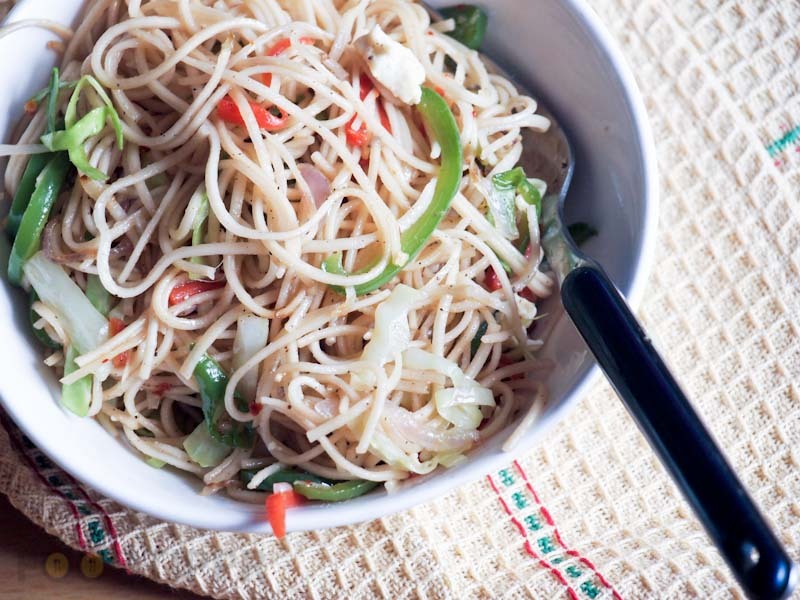 It took me years to finally achieve the taste and now I am sharing the exact recipe with you. 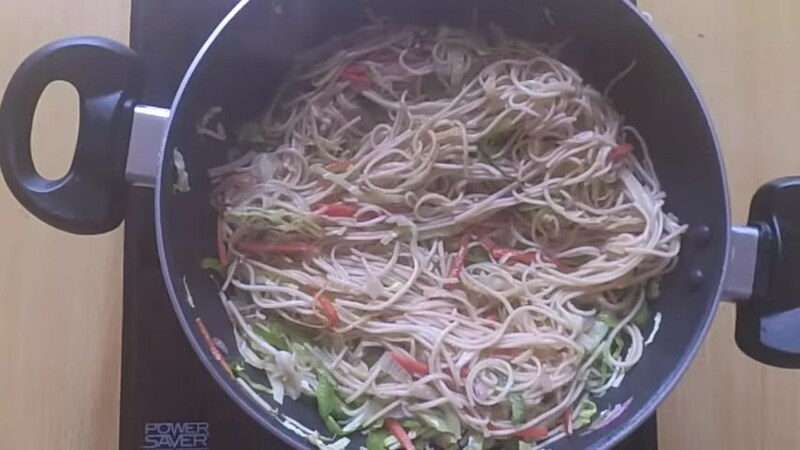 Follow the step by step process of the recipe mentioned below or watch the video and prepare yourself a restaurant style veg noodles. I hope you will love this one. 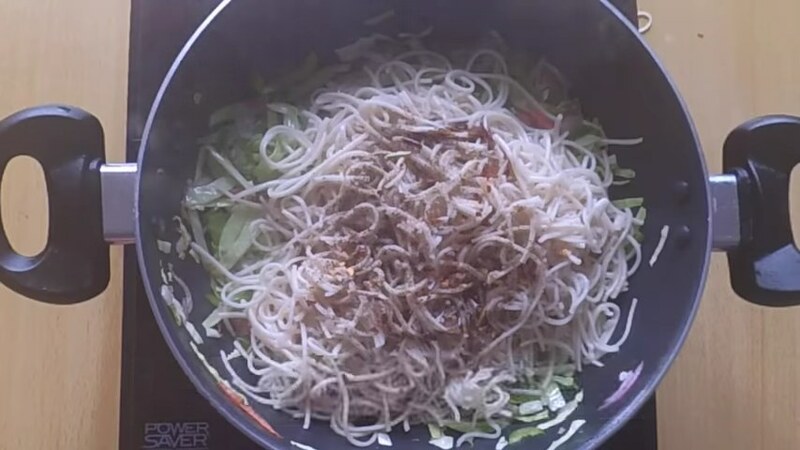 In a wok, add water, salt and vegetable oil. Bring it to boil, then add noodles. 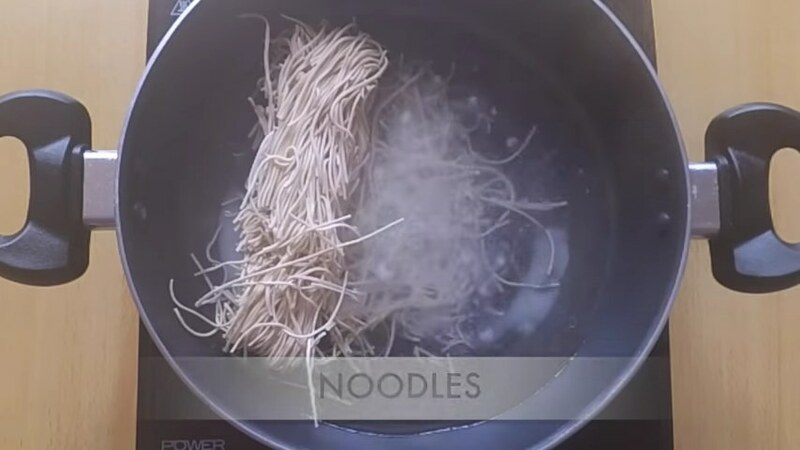 Cook it on a high flame for 7-8 minutes or till the noodles cook properly. Strain it using a strainer. In a separate wok, add vegetable oil and saute with chopped garlic. 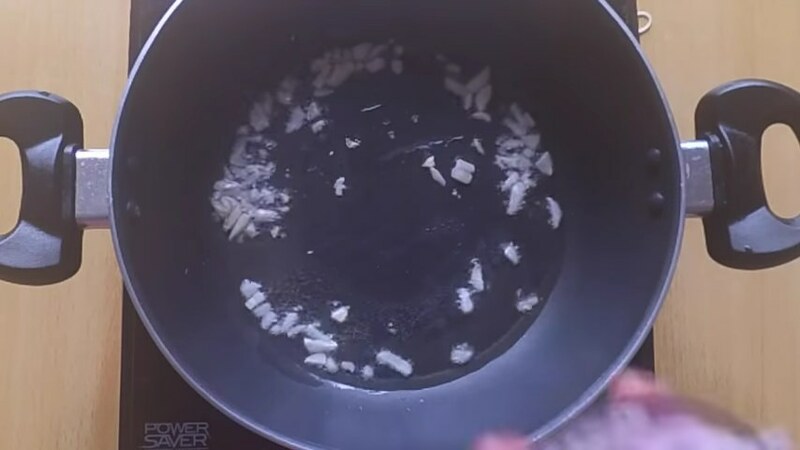 Then add onion, fry it for 1-2 minutes. Add capsicum, carrot, and cabbage. Cook the veggies on a medium to high flame for 2-3 minutes. Add chopped green chili and boiled noodles. 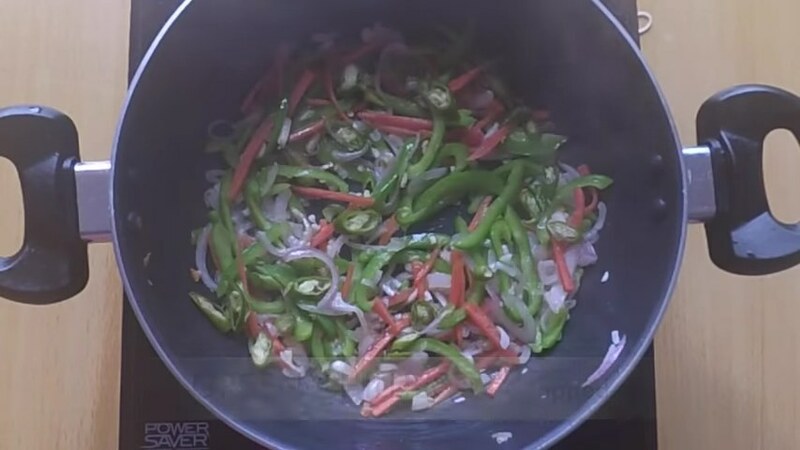 Add pepper powder, red chili flakes, Azinomoto, salt, soy sauce, and vinegar. 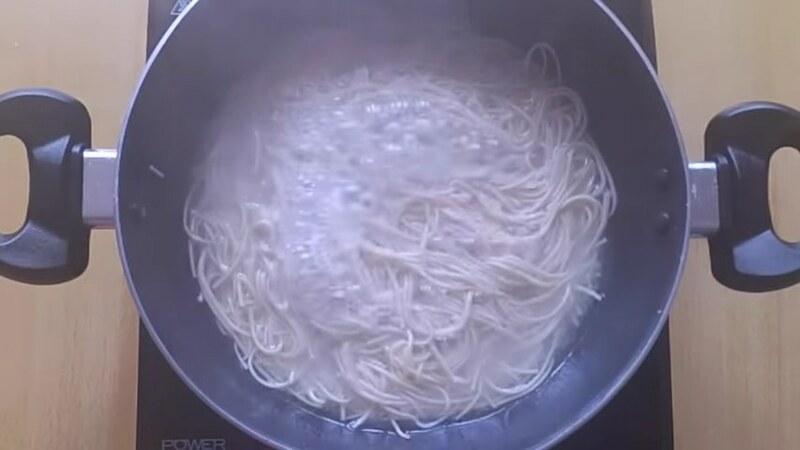 Mix it well, cook it on a high flame for 1-2 minutes. 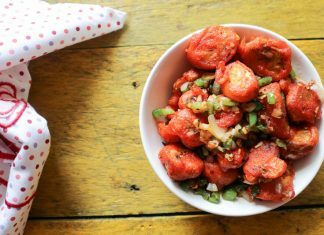 Add paneer cubes, mix well. 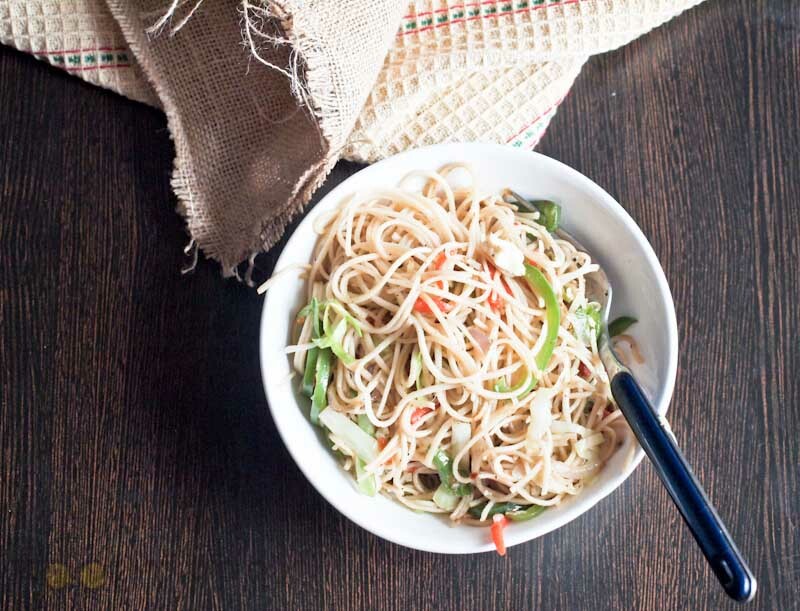 Delicious Veg noodles are ready to serve. Serve hot.